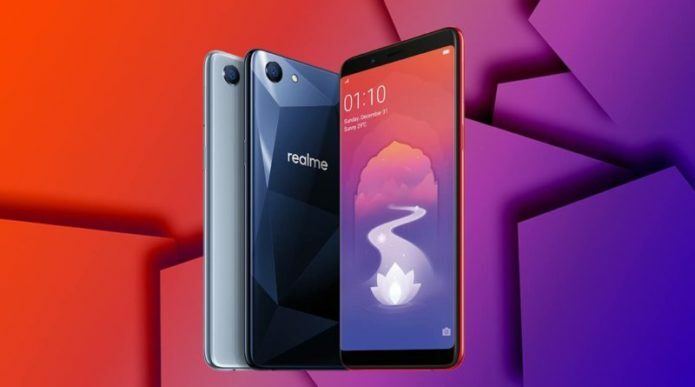 Oppo’s sub-brand Realme that was introduced in the Indian market earlier this year was more or less well received. In the price range the brand debuted at, it didn’t have a spec-heavy rival, and that made a big difference. In its second attempt at making a budget smartphone, the newly-formed company has toned down the expectations a bit, and delivers an experience that is at par with other budget devices in that price segment. Realme’s CEO Madhav Seth wants to drill down the fact that the Realme 2 isn’t a successor to the first one. In his opinion, the Realme 2 will complement the Realme 1 and offer more choice to the consumer. Well, choice or no choice, the Realme 2 looks a lot like the debutant from the outside, and the innards are now more in-line with what the competition offers. Yet, there are some significant additions that can pose a challenge to Xiaomi’s recent onslaught of devices in the budget segment. Armed with a dual camera at the back, and finally a fingerprint sensor, the Realme 2 does come across as a more wholesome proposition than the first one, but is that all there is to it? Let’s find out. The Realme 2 retains most of the design cues from the Realme 1. The glass-based diamond-cut back panel is now offered in other colours as well. Additionally, there’s now a fingerprint sensor at the back. The Realme 2 has almost the same dimensions as the Realme 1, only that it’s a little thicker because of the larger battery. The camera unit and the fingerprint sensor are lined with silver accents, making it one of the more premium looking devices in that price range. Despite being the same size, the Realme 2 offers lot more screen real estate up front. 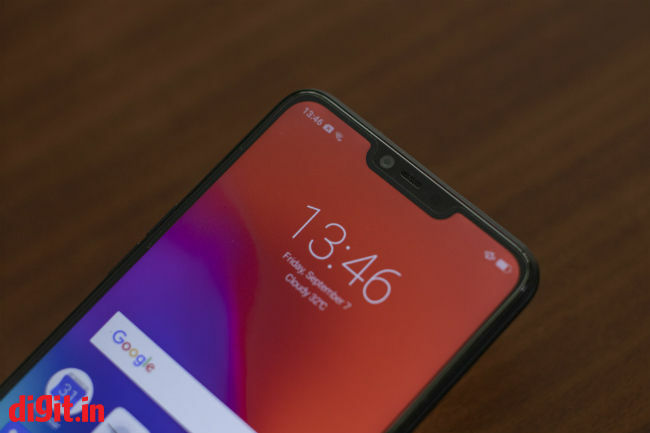 Realme 2 made it possible by bringing the infamous notch to the budget segment. 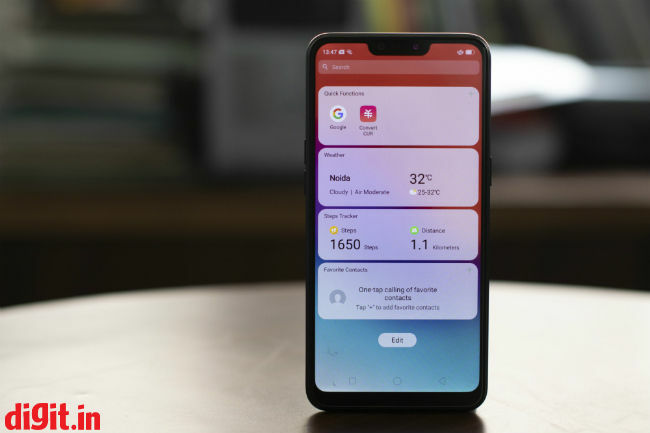 Because of the notch, the screen now takes up 88.8 percent of the body. The notch itself is fairly wide and houses the front camera, proximity sensor and the earpiece. The same advantages and flaws that all notched phones have are all applicable here. I’ll delve deeper into them later in the review. Realme claims 2.5D nanoscale composite materials make up the rear panel and is supposed to give one a sense of space when held against light. Well, it does reflect to show the angular cuts in the design, but that’s more or less the same as last time. It still retains smudges and fingerprints and will crack if dropped from a considerable height, for example, from ear-height. Realme does provide a TPU case in the box for added protection. Up front is also an unspecified version of Corning Gorilla Glass. The Realme 2, as a result, stands out for its premium design, in the budget segment. Realme claims that the Realme 2 caused a disruption it its price segment by introducing a notch. But is it really that disruptive? You do get a larger 6.2-inch IPS LCD panel that takes up 88.8 percent of the body. Despite that, there are significant bezels at the bottom and thin ones around the sides. The display also juts out of the body making it more vulnerable to cracking when dropped. The extra 0.2-inches that the notch offers is used to house the status bar icons. As a result, the rest of the screen is left entirely for the content you’re watching. Having said that, videos will adapt to the notch by letterboxing from all sides. You can of course, turn off the notch from the Settings menu, and you’ll have the usual space a 6-inch display offers. Also, I have to give credit to Realme for finding more use for the notch. Whenever you’re playing a game or watching a video, the notched area houses shortcuts to the most used messaging apps. So every time you receive a WhatsApp message while watching that Sacred Games episode, you no longer have to exit the app and answer back. The notched area will launch a windowed version of WhatsApp to reply. The display itself is quite bright and vibrant. Realme 2’s display has HD+ resolution. The resolution combined with the lower pixels per inch make content look a little washed out, but if you’re watching a 720p video, it’s quite pleasing to the eyes. It’s good if you like to watch something while commuting. In the Settings, you can tweak the colour temperature. Although, by default the colour temperature is more or less accurate. You have a blue light filter as well that can be scheduled to turn on at a specified time. You can also change the font size and manually force apps to adapt to the notched display. If you compare the Realme 2 with its predecessor, the phone will seem underpowered. While the Realme 1 came powered by the MediaTek Helio P60 which is a relatively high-end chipset, the Realme 2 is powered by the entry-level Qualcomm Snapdragon 450. The Snapdragon 450’s performance is akin to that of the older Snapdragon 625. Both have the same GPU and the clocked speed is slightly lesser at 1.8GHz. In the benchmark results, this shows. There is a significant difference in benchmark scores. For one, the Realme 1 artificially boosted the benchmark scores by making the CPU run at peak speed even when the CPU load was considerably lesser while running benchmark apps. 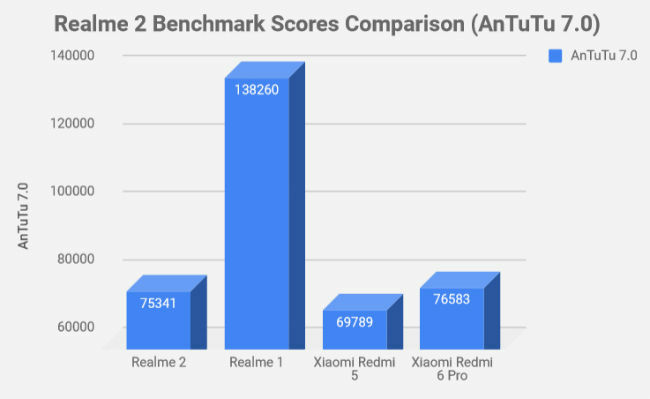 On AnTuTu 7.0, Realme 2 scored 75341 while on Geekbench Single and Multi Core tests, it scored, 757 and 2900 respectively. Both results are inline with other Snapdragon 450-powered phones like the Xiaomi Redmi 5. 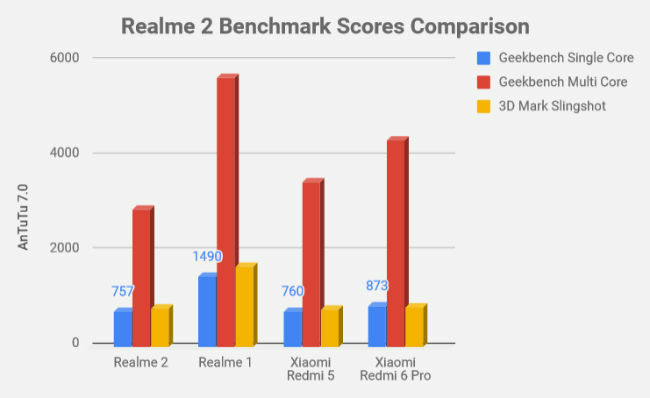 As for graphical prowess, the Realme 2 scored 812 in 3DMark Slingshot test. It’s clear that this is aimed for entry-level users. You get up to 4GB of RAM and 64GB of storage. The company did tease a Realme 2 Pro that’s supposed to launch sometime in September. Perhaps that will be more suited for power users. Despite the entry-level chipset though, the phone feels smooth and fast. Realme claims to have used generous amounts of AI in its UI to optimise performance. In real-world usage, the phone felt reliable enough. There weren’t any noticeable lags in operating the phone. Apps did take around 3-4 seconds to launch while games like PubG Mobile took even longer. This isn’t a gamer’s phone of choice though. PubG Mobile runs on the lowest settings and there are noticeable frame drops and lags. However, casual games like Subway Surfer and Angry Birds run just fine. The software powering the Realme 2 is optimised to make the most of the hardware. The Realme 2 runs on ColorOS 5.1 based on Android Oreo 8.1. The UI is much more refined than its predecessor. The icons and animations look more mature. There’s a minus-one screen that comes up when you swipe right from the home-screen. It shows the shortcuts to apps you use often, the weather, the number of steps you’ve taken and the distance covered as well as favourite contacts. It will also show you tickets and other travel information if you have a flight or train upcoming. The UI also detects if you’re driving and switches to the Driving Mode and turns on Do Not Disturb mode which silences calls and messages to reduce distraction. Furthermore, the phone updates without having to restart. Apart from that, there are the usual features like app cloning options, private apps, dual 4G and dual VoLTE. The software also uses machine learning to optimise power management. Apps also get frozen after being idle which sometimes breaks apps like Messenger that needs to run in the background all the time. The Realme 2 touts a dual camera unit at the back. There is a 13+2MP setup at the back with an f/2.2 aperture lens. The secondary sensor is used for depth sensing. Up front is an 8MP camera with f/2.2 aperture as well. 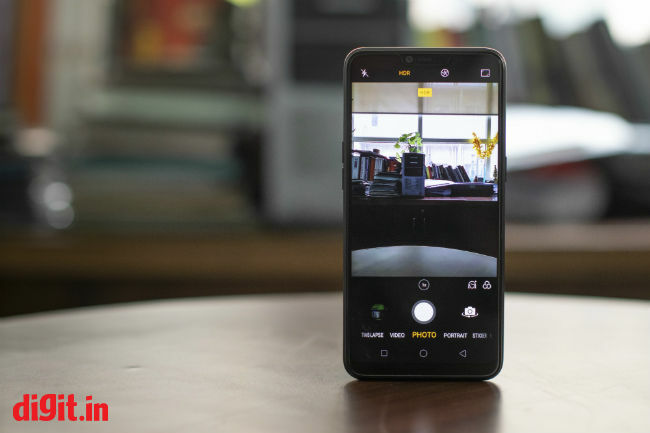 The camera relies on Oppo’s AI Beautification algorithms to enhance images, and the results are more or less good for the price the phone is offered at. In daylight, you get good clear shots. The quality is more or less the same as the Realme 1. The colours aren’t super saturated and there’s good details in the shadows. The HDR mode turns on automatically based on what you’re shooting. Indoors, the camera also consistently delivers clean images. The source of light does get a little overexposed, but the colours are fairly accurate. Details are also reproduced quite well for the price it’s offered in. Between the Realme 2 and the Redmi 6 Pro, it’s very difficult to pick a winner. Under low light though, the camera struggles a lot. The low-light images doesn’t have much details in the shadow regions and there’s significant noise throughout the image. The portrait mode isn’t as good as what Xiaomi phones offer though. The edges are inconsistently blurred and the resulting effect looks artificial and photoshopped. The Realme 2 touts a massive 4,230mAh battery that the company claims can deliver two-day long usage. Well, in our tests, the phone didn’t last that long. We used the phone to take photos, browse social media, the internet and play games. By the end of the day, we had around 30 percent charge remaining. Although, if you like to play heavy titles like PubG Mobile, the battery will drain even quicker. The phone also doesn’t come with a fast charger, so it takes a long time to top up the battery.